Who goes all out for Valentine’s Day!? I know I don’t but I know a lot of people that do, homemade cards, cookies, flowers, chocolates, gifts for everyone and home decor. 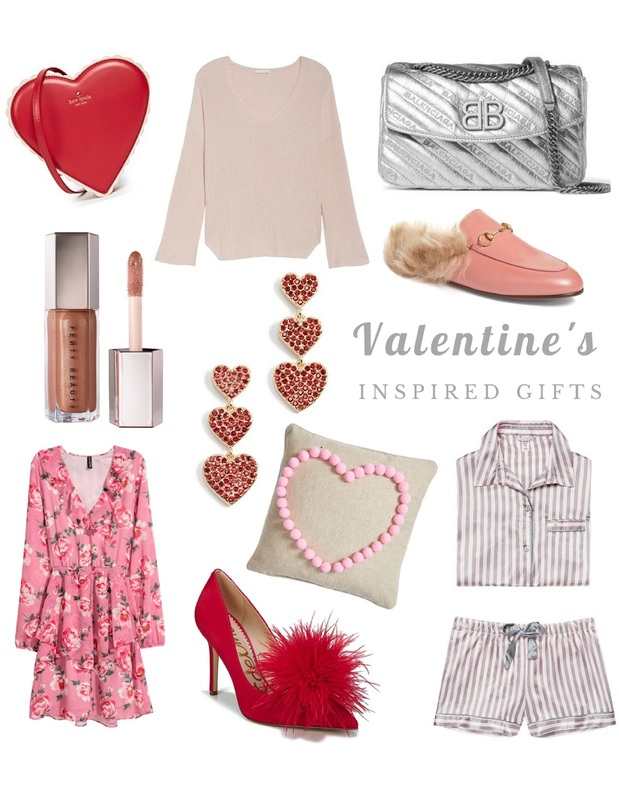 I love all holidays and enjoy adding festive details to my home, like this adorable heart pillow and I will wear a heart something or other or a shade of pink or red on February 14th like this furry heart crossbody bag. I like to write a sweet card to my husband and that is pretty much it. One year we were out of town and had reservations at a nice restaurant but they were so backed up we decided it was best for us to put on our pajamas and order room service. As long as we are together it doesn’t matter what we have on or where we are.